Seventeen-year-old Parker Frost has never taken the road less traveled. Valedictorian and quintessential good girl, she’s about to graduate high school without ever having kissed her crush or broken the rules. So when fate drops a clue in her lap—one that might be the key to unraveling a town mystery — she decides to take a chance. Julianna Farnetti and Shane Cruz are remembered as the golden couple of Summit Lakes High—perfect in every way, meant to be together forever. But Julianna’s journal tells a different story — one of doubts about Shane and a forbidden romance with an older, artistic guy. These are the secrets that were swept away with her the night that Shane’s jeep plunged into an icy river, leaving behind a grieving town and no bodies to bury. Reading Julianna’s journal gives Parker the courage to start to really live — and it also gives her reasons to question what really happened the night of the accident. Armed with clues from the past, Parker enlists the help of her best friend, Kat, and Trevor, her longtime crush, to track down some leads. The mystery ends up taking Parker places that she never could have imagined. And she soon finds that taking the road less traveled makes all the difference. Seventeen-year-old Parker Frost’s life is one on the cusp of change. Recently selected as a finalist in contention for the Cruz-Farnetti Scholarship, it seems as though all of her dreams (Pre-Med, Stanford) are finally within reach. All that stands between Parker and the goal that she has devoted much of her academic life toward is a speech she must compose and deliver to the scholarship board, meant to convince them that she’s the most qualified and deserving applicant. 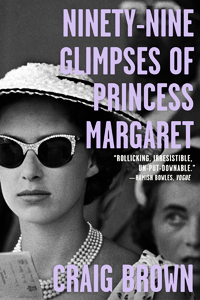 As Parker struggles to find the motivation to pen what will arguably be the most important work of her life to-date, she might just find inspiration in the unlikeliest of places. A teaching assistant for the much-beloved high school English teacher, Mr. Kinney, Parker is tasked with mailing out the most recent batch of Mr. Kinney’s senior class journals. Meant to encapsulate who they are in the moment as well as record all their hopes and dreams for the future, each student is given a composition notebook in which to record their innermost thoughts and which will then be mailed out to them in ten years time as a memento. Among the composition notebooks Parker is responsible for mailing out is one belonging to Julianna Farnetti, one of the students for which Parker’s potential scholarship was named. One half of the town of Summit Lakes’ most renowned golden couple, Julianna and her boyfriend, Shane Cruz, disappeared on the eve of their high school graduation under mysterious circumstances during an intemperate snow storm. As the years went on and all hope of their recovery was lost, the two were presumed dead and their names fell into legend, becoming synonymous with tragedy and lost chances. For the first time in her life, Parker acts on instinct. She steals the journal and cannot resist reading the secrets hidden within Julianna’s journal. Increasingly consumed by a burning desire to discover more about the girl who has gained mythological status in their small town, Parker embarks on a quest to discover the truth about Julianna, Shane, and the night the two went missing, all the while uncovering some rather unexpected truths about herself along the way. I read the majority of this novel by candlelight one evening during a power outage at our summer cottage. Perhaps it’s a little fanciful of me, but I must admit that this felt like the perfect atmosphere in which to savour this particular story. As with my experience with Kirby’s two prior works, I was swept away on a journey from which I never wanted to return. With subtle grace, Jessi Kirby interweaves the story of two girls whose lives could not be more disparate in one way, or more chillingly similar in another. With the same delicate, gentle hand and sedate, methodical pacing that I’ve now come to recognize as Kirby’s signature, Golden is a lush, eminently moving tale of breaking free of the often suffocating expectations that bind us, finding the beauty and possibility inherent in even the simplest of moments, and making the most out of the finite time we have left on this earth. Not since Jessica Darling in Megan McCafferty’s Sloppy Firsts have I felt this much of a kinship with a protagonist. A driven, disciplined overachiever, studious student, dutiful daughter, and supportive best friend, Parker Frost is all things to all people, apart from herself. Compensating for her parent’s divorce, Parker uses her grades and achievements as a balm for her mother’s unhappiness and to fill the void from her father’s departure. Suffocating beneath an endless series of expectations and pressure, Parker’s life is one of obligation and meticulous organization, a path clearly laid out before her without any minor detours or stops along the way. Despite all she has achieved, however, Parker is haunted by the missed chances and forgone opportunities that litter her past and can’t help but be plagued by nagging doubts concerning the cost of her accomplishments. Having spent the majority of her life acting according to other people’s expectations, Parker was forced to sacrifice pieces of herself along the way. Challenged by her best friend, Kat, to make the most what remains of her senior year, Parker searches for one ‘worthwhile, unexpected’ event to shake up the predictable pattern of her life. What she never expected was to find the perfect opportunity nestled within the pages of Julianna’s journal. Truth be told, I was Parker Frost in high school – The girl who graduated with a 94% average, an endless string of extra-curriculars, early acceptance to the university of her choice, and the utter inability to slow down and simply enjoy that stage of her life without planning every step along the way. I know what it’s like to struggle to put yourself out there and take chances, and my heart went out to Parker as I watched her grapple with similar issues. While thankfully my parents are far more supportive than Parker’s mother and I’m happy with the choices I’ve made in my life, I still can’t help but experience the same pangs of doubt and loss concerning some of the things I was forced to forgo in order to achieve what I have. There are times that I can’t help but wonder about the parties I passed on or the dates I was too shy to accept. And while I’m clearly no longer in the same stage of life as Parker, I think the universality of Parker’s story is such that we can all learn something from the journey she embarks on. Whether you’re seventeen, twenty-five, or fifty, the quest for self betterment is one that should never cease. That is, in essence, the beauty of Kirby’s writing. It transcends the narrow confines of the genre and age group at which it’s aimed and is applicable to absolutely everyone if only they’re willing to learn. One of the things I most enjoyed about Golden, apart from Parker’s personal journey of growth and self-discovery, was Kirby’s portrayal of the relationship between Parker and her best friend, Kat. Female friendship is very rarely examined in any depth in the young adult genre, and is therefore all the more special when it’s handled with such care and attention. Temperate to her tempestuousness and the ying to her yang, the duality in Parker and Kat’s natures complimented one another perfectly. They brought out the best in one another time and time again. To my relative surprise, I found myself as invested in the development of Parker and Kat’s relationship as I was in between that of Parker and Trevor. I appreciated that Kirby allowed us to watch as Parker and Kat struggled to maintain their friendship in the face of immense, impending change. Headed in two entirely different directions in their lives, the two grappled with the knowledge that more than simple distance would work to separate them. I think that many of us are able to relate to this sort of conflict, where we’ve endeavored to maintain friendships that we might simply have outgrown. While I don’t think this was necessarily the issue in Parker and Kat’s case, despite being set in high school, there was a timeless, universal appeal to the issues Kirby examined within the text. Even at twenty-five I found myself able to intimately relate to many of the issues Parker faced in her life. Despite all this, however, Kat is still a generous and supportive friend who never resents Parker for her imminent departure or greater opportunities. This was a pleasant surprise and I greatly appreciated the fact that Kirby didn’t exploit this opportunity to add unnecessary drama to Parker’s story. With the perfect combination of conflict, resolution, and open-ended possibility, one gets the feeling that Parker’s journey has only just begun. Now I can only wish that we had the ability to check in with Parker again in five or ten years time. He smirks, but doesn’t say anything. “What?” I fight the urge to check the mirror. Do I still have dirt on my teeth? Mud stuck in my nose? Of course, I would be remiss if I didn’t touch on the romance in the story. Jessi Kirby certainly has a knack for penning a love interest that I can fall head-over-heels in love with. While my heart still belongs to Rusty from Kirby’s In Honor, Trevor Collins certainly gave him a run for his money. Having spent years fending off his advances and chalking them up to little more than harmless flirtation or teasing, Parker begins to suspect that there might be more behind Trevor’s double entendres and suggestive comments than a playful smile. It was a delight to watch these two circle one another and attempt to navigate the next stage in their relationship. Kirby perfectly captures the uncertainty and overwhelming excitement and trepidation of young love and I found Parker and Trevor’s relationship extremely sweet. Charming, sensitive, and understanding, Trevor was a pleasant change from the unrepentant bad boy character we so often experience in the young adult genre. Nice guys need not finish last with this reader! While the romance between Parker and Trevor is little more than a footnote in the greater scheme of Parker’s story, it perfectly underscored Golden’s primary themes. I was happy that it didn’t monopolize the novel, but rather complimented it in the best possible manner. 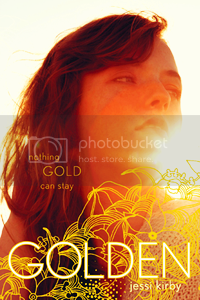 A story about the things we often miss while we’re busy making plans, Jessi Kirby’s Golden is a stunning, hopeful, thought-provoking contemporary novel that deserves every ounce of praise that it has garnered. This is the sort of story that holds the potential to change lives, forcing one to reflect and re-evaluate their own path and where they wish to go next. A story that will inspire and resonate with readers in equal measure, Golden exemplifies some of the best the contemporary genre has to offer and has further solidified Kirby’s place on my favourites bookshelf and auto-buy list. Perhaps Robert Frost was right – Nothing gold can stay. Thankfully, the immortality of great literature is such that Jessi Kirby’s Golden will remain just that in my memory for many years to come. Now the only question that really remains is: What is it you plan to do with your one wild and precious life? Thank you so much, Hazel, I can’t tell you how much your comment means to me *Hugs* I really struggled with this review as nothing I wrote felt like it was strong enough to express how much I enjoyed Golden and what it meant to me! I’m so thankful to know that I managed to accomplish that, even if it was simply in my own small way. I’ve heard so many good things about this one. I really need to check it out soon. It’ll be my first book by Jessi Kirby and I’m really looking forward to reading it. Leanna recently posted…Reviewed by Liz: Scissors, Sisters and Manic Panics by Ellie Phillips. I highly recommend it, it’s absolutely beautiful! I would recommend that you check out In Honor too, which I love just as much, if not more, than Golden. Jessi Kirby can do no wrong in my eyes. I can’t believe I still haven’t read this book yet! I love Jessi Kirby’s writing style, but it looks like she blew it out of the water in this one. It’s always the best feeling when you’re able to connect with the MC on a whole new and personal level– it makes you enjoy a book that much more! Again with the female relationships: I’m glad to hear that the romance didn’t dominate the friendship in Golden. I’m so happy that you fell in love with this one, I’ll have to pick it up ASAP! Gorgeous review, Jen. I completely agree with you: My enjoyment of a novel will increase tenfold if I’m able to relate to the characters, particularly the protagonist, in a meaningful way. Having been in a situation very similar to Parker’s, I could really empathize with what she was going through. I think it’s all too easy to sometimes allow other people’s expectations to dictate how we live our lives. I’m a notorious people-pleaser and often put other people’s needs and desires before my own, so Parker’s constant attempts to please and impress her mother even when it wasn’t necessarily in her best interest was certainly something I was able to relate to! Oh my goodness! Thank you so much for your sweet comment – It really made my day! 😀 I’m so glad to hear that you enjoyed Golden as much as I did. It’s such a special story.